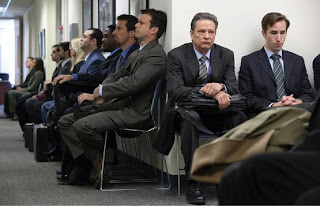 Gannett Blog: In thousands of layoffs, what about age diversity? In thousands of layoffs, what about age diversity? "By diversity, I mean not only racial, ethnic and gender diversity -- although that is vitally important -- but also diversity of thought, skill and ambition." -- Craig Dubow, in his annual letter to shareholders for 2006, his first full year as CEO. At the end of that year, Gannett had nearly 50,000 employees. By the end of last year, total employment had plunged to less than 31,000 -- and it continues falling today. Age diversity at Gannett? You've got to be kidding me. This company went from people sort of quietly pushing older workers (by older, I mean 50 and up) out for many years to blatantly/openly marching them out by the hundreds during the recession, without any regard for employment laws or common decency.